Balsa wood is unique from all other woods. Its properties make it valuable to bridge builders, wood carvers, surfers, and many others. Bridge builders have to be careful, however, when using Balsa. You can’t simply pick up two pieces of Balsa with the same dimensions and expect them to perform the same. Learn what to look for in this article. My favorite article about Balsa wood was taken down, but I found a copy of it at Archive.org. I have heard a lot of people claim that nobody should use Balsa. They claim that Basswood is the way to go. I question that claim, and want data to back it up. Now, I do know that you can build a very efficient bridge with Basswood, but I also know you can do the same with Balsa. Balsa and Basswood are completely different woods. I don’t think it it possible to claim that one is better than the other, without considering all the possible situations. Read my observations about the differences between Balsa and Basswood. Is there a particular glue that works wonders with Balsa wood? I don’t know. I have heard that people have had great success using plain old wood glue with Balsa. Here is a hypothesis of mine. Since Balsa is such a porous material, it can take every advantage of glues that expand when they dry, such as Gorilla glue or Probond. I know both those glues work well on most anything, but I believe they have the potential work even better gluing Balsa wood. This isn’t a discussion about glues, but I want to point this out. Both Gorilla glue and Probond are heavy, and because of that many people don’t want to use them. But keep in mind that you don’t have to use hardly any of the glue, and you still have a very strong joint. Conclusion? Nah, I’ll leave that up to you. Here is my page discussing glues. Contest-grade balsa generally refers to model airplane applications. You don’t get enough strength from it to be useful in structures carrying loads. You’re better off using a denser wood with a smaller cross-section. Balsa increases in strength as the density increases, and the increase in strength is not a linear proportion. The strength to weight ratio gets better with higher density. The only drawback to high density is that, to achieve a light weight, the cross section dimensions get too small to work with. The legs and braces need enough surface area for a glue bond, and compression chords need a large enough cross section to resist buckling. You will have to experiment with densities to find an optimum balance. I’d suggest that you weigh out every piece of wood you own, sort it, and build a number of structures with identical geometry and varying densities. Record your observations as the structures fail. I think that you’ll find that the contest-grade balsa that you mentioned (5.4 lb/ft^3) is far too light. Don’t pay extra for it. Not all pieces of Balsa wood are equal. 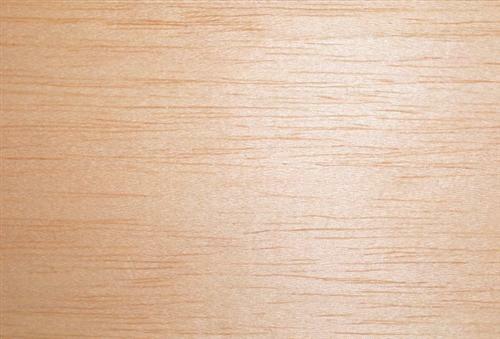 Besides having different densities (strength), Balsa wood also has different grain structures. What is a grain structure? Take a look at these pictures. Click for a closer view. 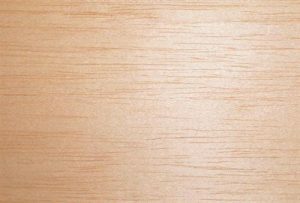 B grain Balsa wood lies somewhere in between A and C.
A grain Balsa wood has long fibers across the entire length of the sheet. Pieces like this are the best type for tension members. You should make sure that the grain goes straight across the piece of wood, and doesn’t go on an angle. C grain Balsa wood is better for compression members. C grain is more stiff than A grain. 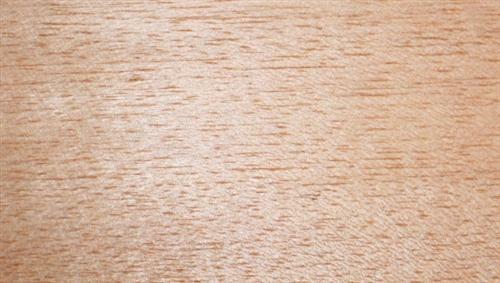 It is easy to tell the difference between the grain types when you are looking a full sheet of Balsa wood. But it isn’t so easy with a small square or rectangle piece. That is another reason to cut your own strips of balsa wood. You can find Balsa wood at most any local Hobby store. In fact, I would recommend looking local first before buying online. Michaels, Hobby Lobby, and Hobby Town USA all stock Balsa wood. You may not be able to find what you want, but it is worth a try. The reason I say it is better to go to a local store before buying online, is because you can actually see the wood. You can look and see what type of grain it has, make sure it is straight, and possibly weigh the wood yourself. Nothing compares to actually getting to see the wood before you buy. But, the second best thing is to buy online. 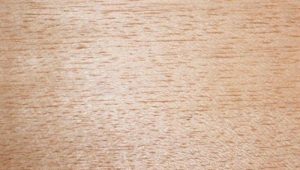 Balsa Wood Inc is an online store that sells Balsa wood. You can start by checking out this website because they have a great selection of Balsa wood sticks, sheets, and blocks. Balsa wood is the crappiezt wood ever. There are a ton of other options much better. Balsa wood has the consistency of foam. Balsa has its own strengths and weaknesses, and for many of my projects, is compressed along the grain. It highly contrasts foam in that it can hold it’s shape longer for lower diameter pieces and can be used as a slight replacement for string in a design ( assuming that the cut is not flawed). Foam on the other hand, falls apart in both cases (well, depends on the foam you use). The lightness of the material makes up for it’s weakness. What does it mean by optional underhang? Beth, I don’t understand how your question relates to this page. I’m building a basswood bridge. The directions say an underhand is optional in this contest. Only I don’t understand what an underhang is. I thought you might know as I saw it mentioned on your site. Thanks for sharing your thoughts on model bridge design. i am doing a project for my gifted class and we are using balsa wood. all i need to know is: can we use balsa for our arch? Megan, you definitely can use balsa wood to make an arch bridge. We are doing a bosal wood project in my technology class, and this website is very helpful. I personally prefer Balsa wood. Hey how did u make that bridge, can u show me please? Some of the bridges in our school built from balsa wood could hold 260 kilograms. Hey guys!!! This site is the coolest. It helped me get an A+ on my technology quiz on bridges. Thans so much! I could’nt be any more grateful for this site. Maryann, it depends on what you are doing. Bigger pieces of lower density wood are typically better for pieces in compression. Higher density is typically better for pieces in tension. Johnny, can you explain what you mean? Is there a recommended density range for balsa? 36 queries in 0.501 seconds.